Over the last 6 months I was unsure where I have been taking the blog and podcast. It got to the point where I was falling out of love with it. 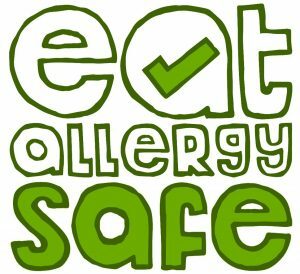 The purpose and driving force behind Eat Allergy Safe has always been that allergies aren’t about missing out, they are about doing things differently. Since starting the blog in 2015 and the podcast in 2016, I have found there are SO many inspirational allergy bloggers and people out there. Unfortunately, these inspirational people can often get drowned out by a few negative vocal voices and newspaper stories. (I have definitely felt pressure from these negative voices and haven’t always known how to respond…) The fear mongering encourages others to believe they are victims and that the world owes them something because they have a food allergy. I believe this is wrong and destructive and does not allow each person to find their innate strengths. Food allergy deaths have become popular topics for newspaper articles. Although the frequency of allergies being in the news is great for awareness, they serve also to fuel fear, anxiety and stress about living with allergies everyday. They have forced people to pay attention out of fear. This serves an initial purpose, but I believe only in the short term. If allergy education and awareness is to be a long term plan, we can’t go at it from fear because that just builds resentment. Not to mention, being an allergy sufferer I don’t want to depress myself by reading about a death that could have so easily have been me. For my own mental well being, I want to take action. Through learning about my allergy I know I feel more in control of my life and ability to manage on a day to day basis. The more knowledge I have acquire I find I can understand more than just my own views, and that gives me perspective on the actions of others and helps me manage my emotional response to negative news articles or opinions. Instead I encourage you to comment on a blog post or, even better, send me an email through the contact form! I want to encourage actual communication rather than the fleeting comments or ‘likes’ on social media that we often make and forget so quickly. Content in 2019 is going to be focused on information and education about all aspects of living with food allergies so that we can make informed decisions. If you are an allergy parent, your time will come when allergies won’t be a big part of your life. That is good and the natural order of things, but your allergy child will always have allergies. Allergies won’t go away, and the best protection you can give them is to arm your child with knowledge and confidence so they can own their allergy. I will look for your input over 2019. What information do you wish you could find? What practical information do you want? What are you curious about? The science and psychology of allergies? or food manufacturing? I want the content to be proactive rather than reactive, so that living with allergies is proactive rather than reactive. Leave a comment below or send me an email, I’d love to hear from you. What Food Allergy Resources Do You Need? So, Allergy Awareness Week UK is over, and Allergy Awareness Month USA is here! During Allergy Awareness Week I got some messages asking about how to travel with allergies and live with allergies, this has spurred me on to develop the Allergy Coaching and make some e-books and resources. So to make sure these resources cover everything and that they are useful to you I have created a short 10 questions survey. Please can you fill it in with as much details as possible and pass it on to any other allergy mums or allergy sufferers you know? Last week I published my Open Letter to Allergy Teenagers and it received an overwhelming amount of attention. It was part of a series of articles talking about different aspects of living with food allergies for Allergy Awareness Week 2018. The post had a mixture of some positive, some negative and some comments which hurt me personally and made me question whether I’d gone too far. Especially as the most vehement comments came from people I had interviewed on the podcast, who had supported and shared my other posts and had never mentioned that they had a problem with what I said. Now that I’m over the personal nature of some of the comments (and I went through a whole gamut of emotions: shock, sadness and [lots of] anger), and feel of a more rational mind I wanted to respond to some of the valid points. Although many were accusatory and attacked my character, they raised an important issue surrounding how we help food allergy kids and teenagers feel empowered. The Open Letter was inspired by an instagram post I saw last year and later compounded with conversations I had with kids & teenagers at the Allergy and Free From Show in Liverpool 2017. Now first up, I admit the facebook post I wrote was inflammatory and as pointed out by a fellow allergy blogger, perhaps had a negative slant whereas the the article had a positive message, in her opinion. These first comments I must admit took me by surprise. I hadn’t written it from a place to judgement or to berate, how could I judge those who feel now what I had felt before. It is true when you are a teenager, your world feels like it is falling apart all the time. I remember how each conflict or challenge was life and death, the dramas were so real. Life is chaotic for teens! As commenter 1 rightly says, “not everyone has the confidence to talk about their allergy” and how they feel about it. I certainly didn’t when I was a kid or a teenager! Commenter 2 is absolutely right, we as grown up allergy kids and allergy parents do need to lead by example and show kids and teenagers that allergies don’t have to define them if they choose not. We do need to guide them and help them process the challenges of feeling like we belong, and what teenager truly knows where they belong? There are so many hormones and things (friendships, body, school etc) changing all the time! Most teenagers are worried about “fitting in” and while most people will try and give advice for how they can fit in, I am suggesting rather than trying to “fit in” to someone else’s mould, make your own. I question the idea of following the herd. Why we would we let our allergy teens settle for trying to “fit in.” Why wouldn’t we challenge, encourage and support teenagers to forge their own path in life? And sometimes, when we are going against the flow, when we forge our own path, we have to bare our teeth or draw our sword. Just like dragon tamers. To bare our teeth is not about trying to start a fight, but to show those who might stand in our way, whether verbally or physically, that we mean business. That we mean what we say and are willing to stand up for ourselves. Unfortunately, these commenters blocked me on instagram in the end, which is sad because it ends the conversation. Without conversation we cannot move forward nor find ways to help our allergy kids and teens who don’t have the confidence to speak out when they need help. There isn’t a one size fits all way to raise food allergy kids. Nor live with food allergies. We all live different lives, learning and adapting in our own way. My way might not be your way and vice versa. As such, discussions on these ideas are vital for us to help our allergy community and the many more children and adults who are developing allergies. How do you help your allergy teens and kids? Leave a comment below and join the discussion. Disclaimer: I annoyed my boyfriend for a week about this before I finally sorted out how to respond to the personal attacks vs idealogical attacks. I have done my best to separate them and present as rational a response as possible and leave out those feelings that could divulge this post into a slinging match. Life is More Than Allergies..And Here’s Proof! When you have a food allergy, there are misconceptions. But they are exactly that misconceptions. Here are 5 myths that I’m going to set the record straight about. Food allergies cannot be cured with probiotics. An allergic reaction is an autoimmune response in the body to a protein. Allergic reactions can range from mild too extreme. The extreme form of allergic reactions is called anaphylaxis which in the worst case can result in death. The research for the link between the gut and allergies is still very new. Food allergies cannot be cured by simply taking probiotics or those good bacteria yogurts you can get at the supermarket. Always talk to your doctor or a medical professional about allergy treatments. Food allergies are not a fad or phase. They are a bodily reaction to a protein that your immune system sees as a foreign invader, it is an autoimmune response. Allergies are not in your head, they’re not something you’re dreaming up. Food allergies are serious and need management so that you can stay allergy safe. Food allergies do not make you weak. The beauty about allergies about you know what makes you sick. This means is really easy to avoid those foods that make you sick. You are healthy just long as you avoid those allergens. It does not affect your ability to have friends. It’s your choice how you think about your allergy and what it means in your life. Your food allergy does not rule your life. Just because you or your child have an allergy does not mean you will miss out. You are the one in charge of your allergy, you are the one who can take ownership and you are the one who doesn’t need to let it define you. Having a food allergy does not mean the world has to cater to you. There are lots of people with allergies some with multiple severe allergies. Restaurants hotels and catering companies do you not have the responsibility to ensure that you have safe food to eat. These are privately owned businesses meaning they can do what they like. This will sound harsh but it’s true. Your allergy is your responsibility. Don’t give up the control over your life. Sometimes when you don’t know where to start, it’s good to rule out what things are not. When you’re first diagnosed with a food allergy it can feel like the end of the world. The simple task of going food shopping is now a maze of the potentially deadly. Just starting out is frustrating but it wont stay that way.. Living with allergies is a constant process of education and like anything the more we practice the better we get. Tomorrow’s blog post is number 2 in my Allergy Awareness Week series, I share the 4 most important things you can do to build confidence in your food allergy kids, a question that comes up regularly in coaching sessions. The more we practice managing our allergies, the more we figure out what we can do to own our food allergies, the more control we’re going to have over our allergy anxiety. What a wonderful weekend! It was my first time going to and exhibiting at the Allergy and Free From Show in London. I didn’t know what to expect of the weekend. I only knew it would be long, working an exhibition stand 3 days in a row is basically 3 days of standing up 10am to 5pm. But you know what the aching limbs, the tired voice and the work of putting the stand together was SO worth it! Parents, kids, adults and businesses all in the business of allergies! I loved getting to meet all of you! And I know my parents did as well! We loved all the allergy kids sharing their allergy wins and decorating the stand with their drawings! You allergy kids made the Eat Allergy Safe stand stand-out more than everyone else! So thank you!! For those of you who are regular listeners of the podcast, you may remember that at the beginning of this year I made announcement on the podcast. I announced that this was make or break year for me. It was the year I really tried to make Eat Allergy Safe my profession. When you are trying to make a startup work there are so many times that you can feel completely unmotivated and at a loss with how to move forward. I had been feeling like this before the show, to tell you the truth. It’s sad but true. So to everyone of you who came and said hello, thank you! You made my weekend, you have motivated me and I hope you will get involved and enjoy all the great things I have planned over the rest of 2017 and into 2018! And to give you a little teaser of what’s to come, check out below! The Eat Allergy Safe Podcast is getting sponsored!! “The Real Cause of Allergies, Eczema and Asthma” Book Giveaway August to September! Eat Allergy Safe Chocolate Recipe Book launch + Giveaway in September/October! I’m going to start teaching allergy education in schools!